Thank you to the large number of Mammys and Daddys who attended our Internet Safety meeting this evening. Thanks to our training providers REIM Training Solutions who shared with us the most up to date information and advice for safe use of the Internet. As mentioned at the meeting we remind you to visit the Internet Safety link on our school website stmarysps.org to access links to useful websites and information for children and parents. 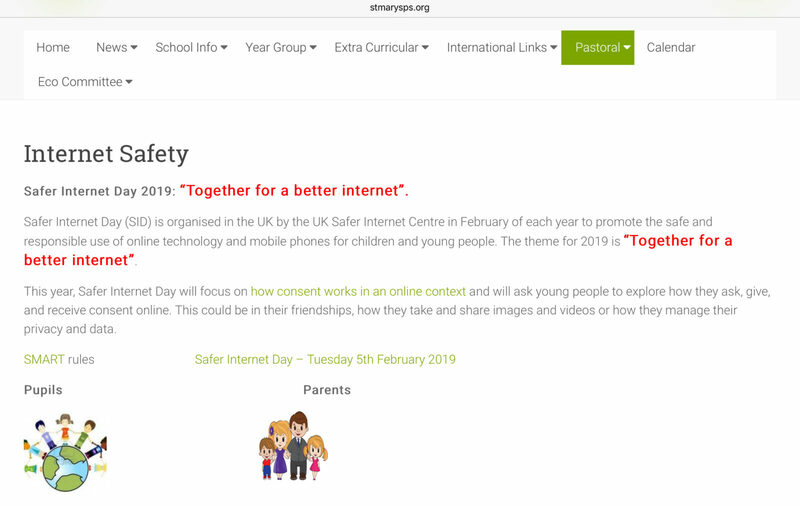 St Mary’s is supporting Safer Internet Day 2019! Recognise who is a trusted adult. REMEMBER: Parent Internet Safety Workshop tonight St Mary’s Primary School at 7pm! We hope you all can attend! This event to open to all parents and members of our local community. Feedback from previous years’ workshops was very positive. Parents attending commented on the practical tips and advice shared by our experts , one parent evaluation read, “Very useful advice and easy to apply”. So we are strongly recommending all Parents / Guardians to come along Monday night. Knowledge around internet safety is paramount to keeping our children safe and the content of the workshop is updated annually. We are confident you will find this workshop very useful and informative. 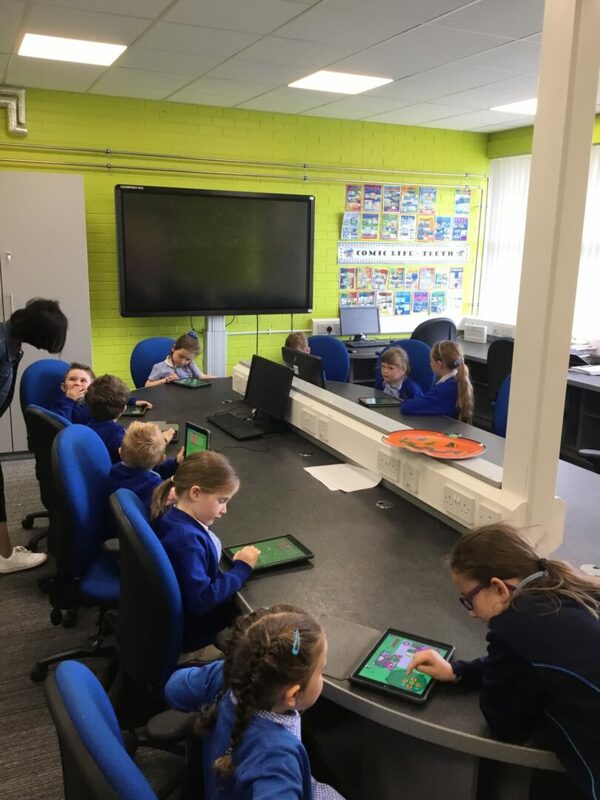 Congratulations to P5 and P6 pupils who completed a 7 week Coding Programme with Price Waterhouse Coopers, Belfast. Pupils were presented with a certificate and medal from Senior Development Manager Chris Clements and Education Manager Narelle Allen. Sadly, Monday was the last day of our “Hive Hackers” project, a 7 Week Coding Programme created by PwC for Primary Schools. 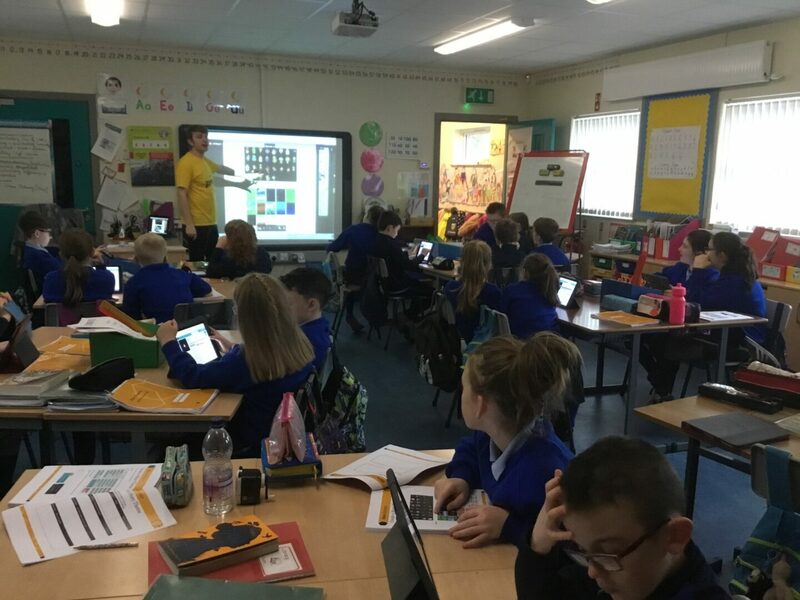 Learning to code is like learning a second language and pupils were introduced to the fundamentals of coding: algorithms, sequencing, loops and conditionals. On Monday working in pairs they used coding blocks to create a story each with up to 6 Characters, in 3 different settings, with characters that could actually move on command! We had football stories, adventure stories and even romances. We are delighted to have been selected to participate in PWC’s programme which taught us to Code in a fun, structured and supportive environment. 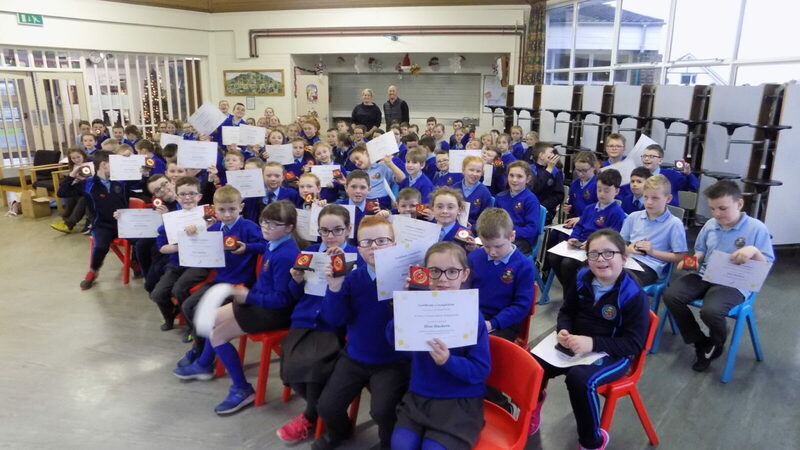 Early in December each child who took part in the project will be presented with a certificate for completing the course at a special Assembly. Pictured is the award presented to St Mary’s for encouraging and inspiring young people in STEM subjects through the use of STEM ambassadors. Science, Technology, Engineering & Maths are areas which have increasing relevance in our society and we hope to equip children with the necessary skills to pursue future careers and interests in these areas. Today a group of P6 pupils were invited to St Mary’s High School, Newry to participate in a Media workshop in collaboration with the BBC News Report and Eco Schools NI. 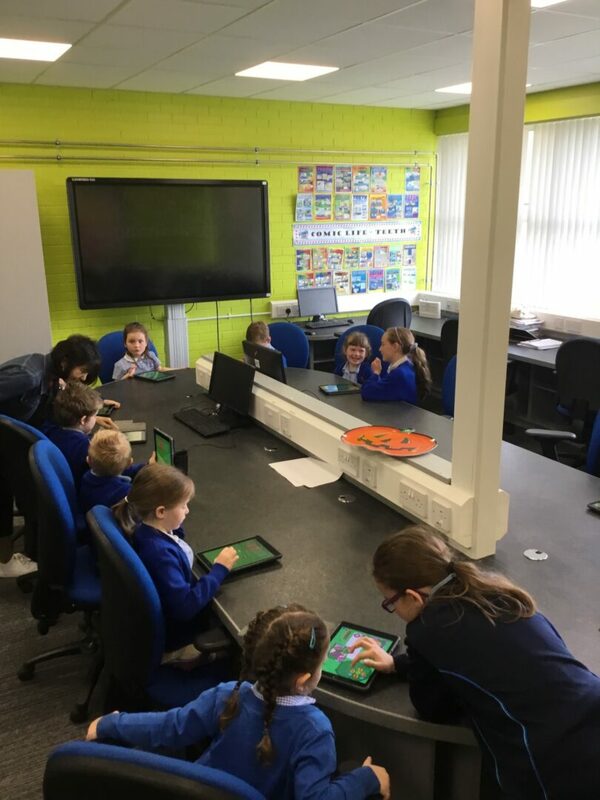 The P6 group had the opportunity to work with pupils from St Mary’s High School, Newry, St Mark’s High School, Warrenpoint and St Joseph’s High School, Newry in two workshops. Workshop one introduced the pupils to report writing and journalism before moving onto the excitement of creating and editing their own News report for the Eco Schools programme. BBC reporter John was very impressed with their reporting skills and final editing of their News Reports! A very entertaining showcase of News Reports from our pupils! Thank you to Miss Olivia McCann, Past Pupil of St Mary’s PS, who invited us today as part of the Eco Ambassador School Programme for a very enjoyable and well organised day. 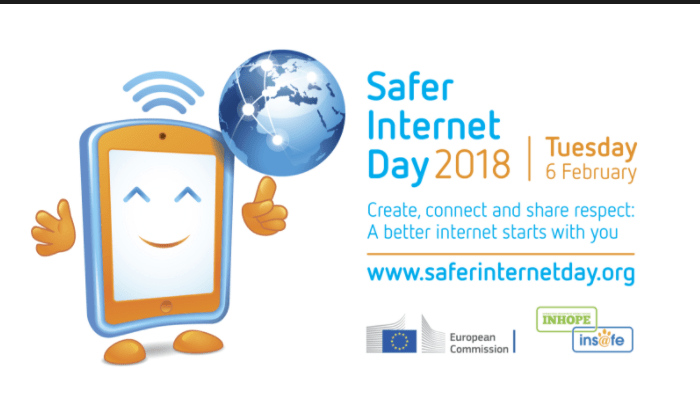 Safer Internet Day will celebrated globally on Tuesday 6th February so join us and 1000s of organisations across the world to celebrate this very important day.